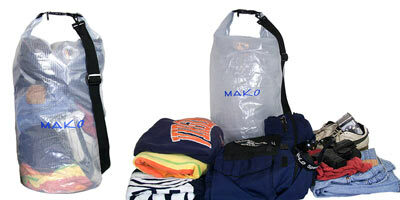 The MAKO transparent waterproof dry bags make accessing your needed items quick and easy, even in low light conditions. Perfect for boating, at the beach and traveling. 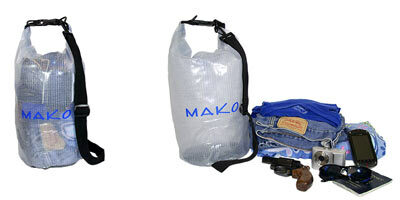 These waterproof bags feature a heavy duty fold down top and locking buckles, forming a secure handle, as well as an extra wide clip on shoulder strap. Available in two sizes, the small (10 liter) is great for your clothes, towel, and personal items and the larger size, (30 liter) can handle even more items including shoes, jackets, clothing, etc. Thanks Shannon & Diving for a Cause for the cool photo! This waterproof bag is the best i have ever had. 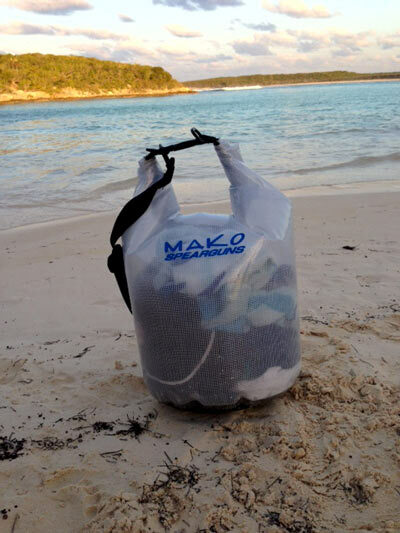 For the last 10 years of my spearfishing I had a lot of bags from different brands, but the one from Mako was the best. It was in use for over three years without any excoriation till I lost it. Now I've ordered another one and I'm sure it will serve me for many years. I have a few of these. 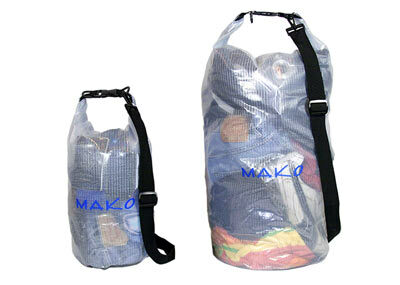 I use the large one for snacks, electronics, wallet, a towel and clothes. I also have another one with the disco ball flasher and lots of other gear. The small one I use for spare parts and tools. Thy fit easily inside the mesh dive bag too. These bags are such a good deal that I buy them for friends as presents. They are awesome for beach/boat/whatever.